Most-Watched Convention Speaker Was ... Joe Biden?! joe biden is a really decent guy. he has empathy, relates to people and despite being a senator, comes across as an "average joe". americans relate to him because he's honest and talks from his heart. 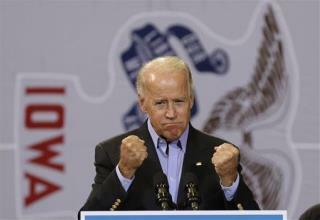 As far as vice presidents go, Joe is pretty cool. I had to switch from the tv to watching it on the internet because close to the end of bidens speech the pbs broadcast froze and cut off completely - i read I wasn't the only person effected, maybe this could have been a contributing factor?